Adrenaline rush is what we all experienced at the cinema theater when the ferocious Sher Khan chased Mowgli in the Jungle. Indian kids from the 90's would fondly remember Mowgli for many reasons. But the Nostalgia factor after watching the Disney's Jungle Book wouldn't be a great connect. The entire theme of the Jungle Book that played on the Doordarshan was different. 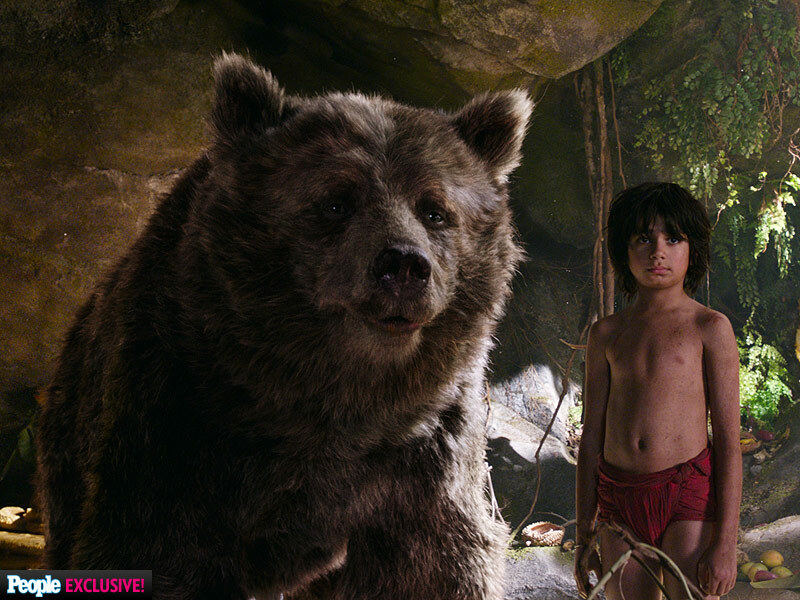 Baghera and Baloo, Mowgli's favourite had a crucial role in the movie with Baghera playing Mowgli's mentor, advicemaven while Baloo, a good trustworthy friend. The Jungle Book will be a visual delight to everyone who watches the movie. Never hesitate to shell out some money and watch it on the big screen. If you don't then you are missing a lot! I watched the Hindi edition of the Jungle Book. It comes up with an ensemble cast of Nana Patekar ( Sher Khan), Priyanka Chopra ( Kaa), Shefali Shah (Raksha Ma), Irrfan Khan ( Baloo), Om Puri ( Baghera) and Jasleen Singh(Mowgli) added colors of joy to the exciting movie. Kaa's cameo was disappointing. We did expect much more from Kaa. But the scenes featuring Kaa did evoke silence. Baloo's Punjabi Hindi is hilarious. Irrfan Khan ruled the movie as Baloo. This was the most entertaining character of the movie and one of my favourite. The Live action 3D movie does a good job in engaging the audiences. It will make you connect with the characters. 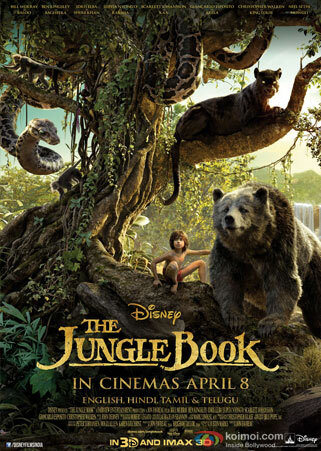 Mowgli's adventures, misadventures and his rendezvous with Baloo will drag a smile on your face. I have seen King Loui's appearance in the Trailer but the Hindi version was a big disappointment. The English version suggested me that he would be a good potrayal but sadly I didn't feel the same in the Hindi Edition. King Loui's Goan Hindi didn't amuse me, honestly. This movie is for all age groups. This movie is one time watch over the weekend. It will invoke your old memories of the Jungle book. This is the primary factor that will make it a must watch for many. The Jungle book has stayed for a long time in our mind and has ruled our childhood days. It becomes natural for us to enjoy and have a good time watching this movie. Disney's Jungle Book is a visual delight and my full marks to the Graphics team. I give 3.5/5 to the movie for an entertaining 2 hours. Though I loved Kaa & Sheher Khan too. It's a treat to watch for all age groups. Dude, indirectly you wrote the complete spoiler of the movie. Ofcourse Anyone can guess who'll win. No?